Since the turn of the last Century, Solar has been the most cost effective way to heat our Water. Advances in Materials and Technology have made this Solar Application even more efficient today. Simpler Solar Systems offers a combination of Solar Micro Inverter Technology coupled with Energy Efficient Hybrid water Tanks for an unbeatable combination. The Solar Hot Water Heating system is comprised a GE GeoSpring™ hybrid electric water tank and a .6KW Solar Array with Enphase Micro Inverters. The heater uses a fraction of the Energy of other Water Heaters so the systems entire daily power consumption can be met with Solar. 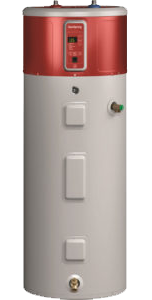 The 50 Gallon tank is 62% more efficient than a standard electric 50-gallon water heater and provides the same amount of hot water as a traditional electric water heater with 67 gallons first-hour delivery. GeoSpring™ Electronic controls offer 4 operating modes plus a vacation setting making it simple to select the temperature and optimal energy saving performance. And with no water flow on the roof, there is no issue with freezing during the cold winter months. GeoSpring™ uses heat pump technology to absorb the heat in ambient air and transfer it into water, making this an efficient and environmentally friendly water Heater. The system also creates air cooled space around the unit as an added bonus. Pricing starts at $3200 and qualifies for 30% Federal Tax Credit. Solar Pool Heating Systems allow you to take advantage of controlled water temperature more months out of every year and Enhances the Value of your Home. Simpler Solar Systems is an Authorized Dealer for Techno Solis Pool Heating Systems. Techno-Solis collectors contain 35% more polypropylene and UV stabilizers than any other panel. This means that our panels have a much longer life expectancy than the competition. In fact, our panels are so well built that they can withstand the strength of a 150 mph hurricane. Once our panels are installed, there is no additional maintenance or cost involved. You just sit back and relax in your refreshingly warm swimming pool. For added peace of mind, Techno-solis backs all these systems with the longest and most comprehensive warranty in the industry. Collectors are designed to use the Sun’s Energy to circulate and Heat water, returning warm flowing water back into your pool. When sunlight is not available the system shuts down to keep water temperatures warm during the evening hours. Pool Heating costs are dramatically reduced and swimming season is lengthened throughout the year. Pool Heating System Sizing is dependent on Size of Pool, Gallons of Water to be Heated, Variable Depths, and Solar Window. Pricing Starts at $3200. Please CONTACT US with information about your Pool for a free Quote. 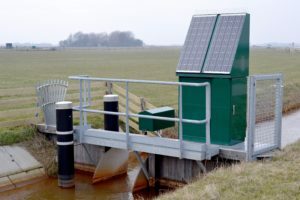 Agricultural Solar applications are designed by Flow Rate and are essential in providing water for cattle and crops in remote areas. We offer water pumping systems that pair a solar Array on out structures or Pole Mounts with Grundfos Technology. Grundfos’ SQ Flex pumps offer an environmentally-friendly water supply system and have a permanent magnet motor enabling the efficient use of energy from a wide range of supply options. Grundfos Water pumping systems are a perfect supply solution for remote areas where water is scarce and power may be non-existent or unreliable. Federal Grant programs are also available for some agricultural applications through the FDA County Extension office in your area. These programs are offered under Natural Resources Conservation Service and the Rural Energy for America Program.